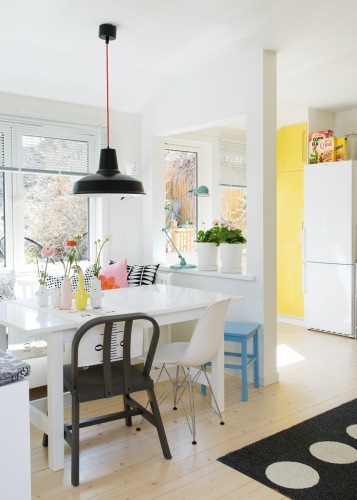 I love this kitchen makeover, its so sunny and bright! 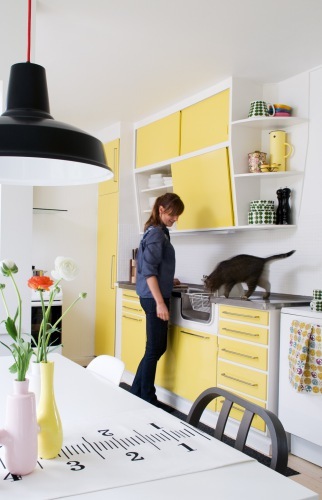 The dutch couple decided to keep their 1950s kitchen cabinetry but gave the whole room a new look with some new flooring and great use of yellow and white paint! refreshing and a cheap way to update! 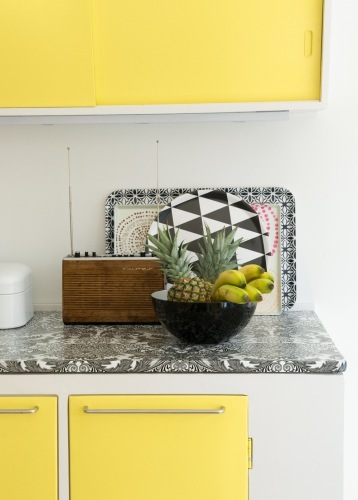 They also painted the back-splash tiles and used graphic patterned oilcloth on the benches! Love it! The oil cloth on the work tops is fabulous! !